Under Sea Ice is an interactive installation created for the Natural History Museum, as part of the Ice Station Antarctica touring exhibition. I worked with AllOfUs to create the installation, which opened in London in May 2007 as part of a world tour. The installation allows children to explore the extreme conditions of the marine environment found at the Antarctic. 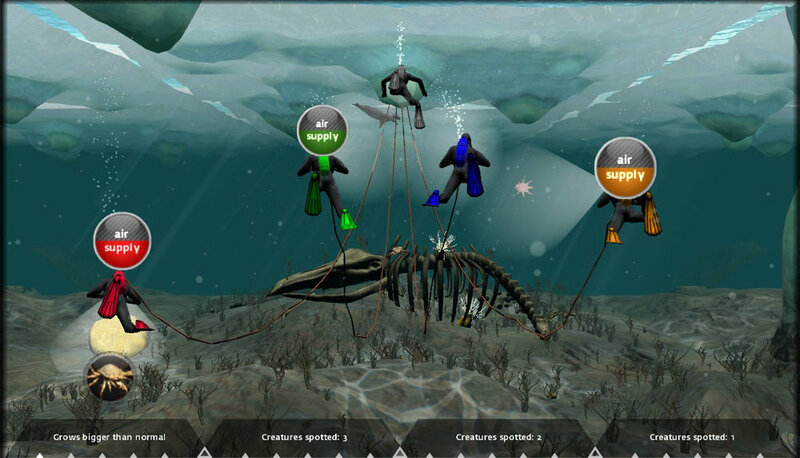 By taking on the role of a diver, part of a dive team investigating Antarctic marine life, the player is able to steer their diver towards the unusual organisms that populate the depths in order to “catch” samples for further investigation. By shining their diver’s torch on each organism, the creature’s details and particular traits are presented on screen. Four different players can use the installation at once and interaction is facilitated by a wide bar of sensors. 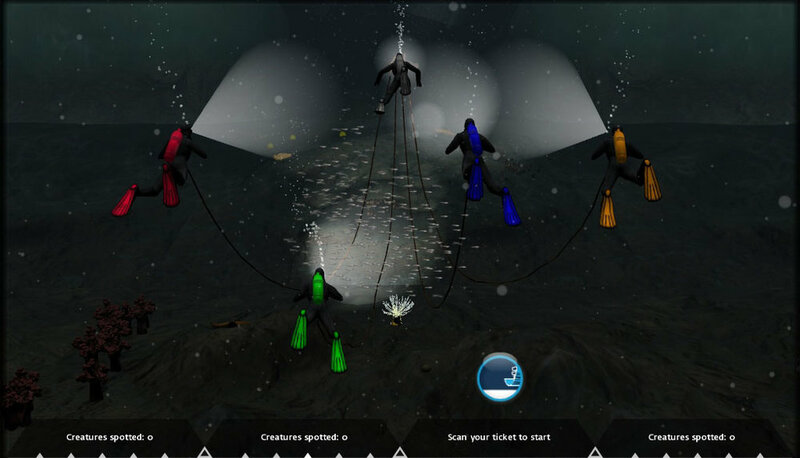 By touching hotspots within their area of the sensor bar, the players can guide their diver through the environment and towards the organisms that they are most interested in. The installation features a large number of different creatures, from tiny Nemertine worms to giant Humpback whales. It also features a number of Artificial Life simulations such as predator/prey relationships to enhance the experience.